AMLG is known widely in both the legal and mortgage banking industries as being very experienced in representing financial institutions in connection with mortgage related legal services. While AMLG is a California-based practice, the firm has attorneys who are licensed in a number of different jurisdictions. 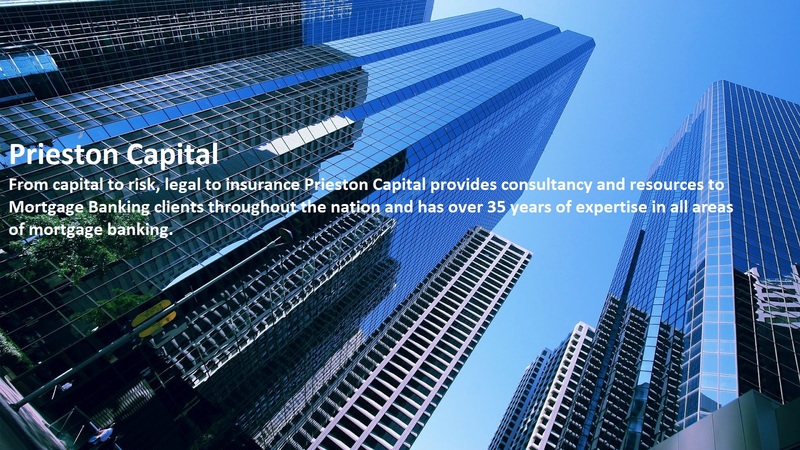 Through Prieston Capital most of our program lenders and bankers alike are provided patented Mortgage Operational Safety Assessments which in turn provide training assessments and peer-to-peer analytics. Through MOSA lenders can reduce loss severity and incidence in the loan manufacturing process. Prieston & Associates, provides lenders with proprietary insurance coverage for any defects in the loan manufacturing process in order that lenders working in a highly regulated environment are even more protected with coverages for both themselves and their vendors.